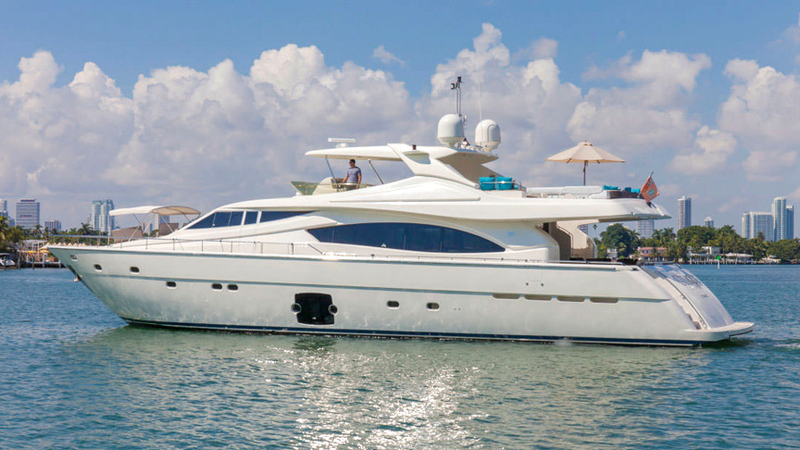 The 88 is one of Ferretti’s most popular yachts, the flagship of the series. 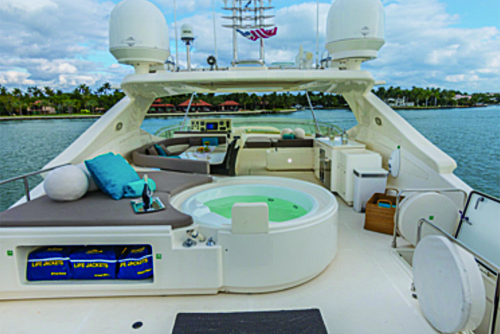 She is a very voluminous and tall yacht for her size, with luxurious oversized spaces across the board. Industry leading Italian quality. Yamaha jetski, dinghy, and toys housed in stern garage.